Filet mignon tips (beef brochettes) - the least expensive way to buy the most expensive cut. 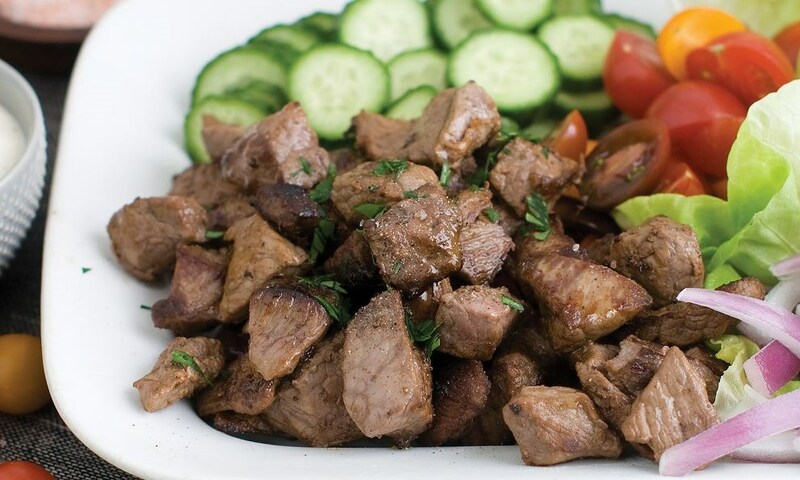 Bite size pieces of filet mignon, perfect for creating your own kabobs, beef stroganoff, or stir-fry. Heat oil in heavy pot, season beef tips with salt and pepper. Add to hot oil and sear beef on all sides, add onion and cook until onion softens. Add water, mushrooms and gravy mix and bring to a boil. Simmer and cook until reduced by half and sauce starts to thicken (about 1 1/2 hours).